Max-Schmeling-Halle is a multi-purpose arena, in Berlin, Germany, named after the famous German boxer Max Schmeling. Apart from the Velodrom, it’s one of Berlin’s biggest indoor sports arenas and holds from 8,861 people, up to 11,000 people. The opening ceremony happened on December 14, 1996, in the presence of Max Schmeling. The Max-Schmeling-Halle is situated in the former border area of Berlin, near the Mauerpark and directly next to the Friedrich Ludwig Jahn Sportpark. It’s situated at the Falkplatz, in the district Prenzlauer Berg (borough Pankow). Planned for the 2000 Summer Olympics as a pure box gym, it was rebuilt (after the games were awarded to Sydney as the venue) to a multi-functional gym and is now primarily used for boxing and team handball and is the home arena of Füchse Berlin HBC and the Berlin Mini Basketball Tournament (berliner-mini-turnier.de). World Wrestling Entertainment was there twice, in April 2005 and 2006. 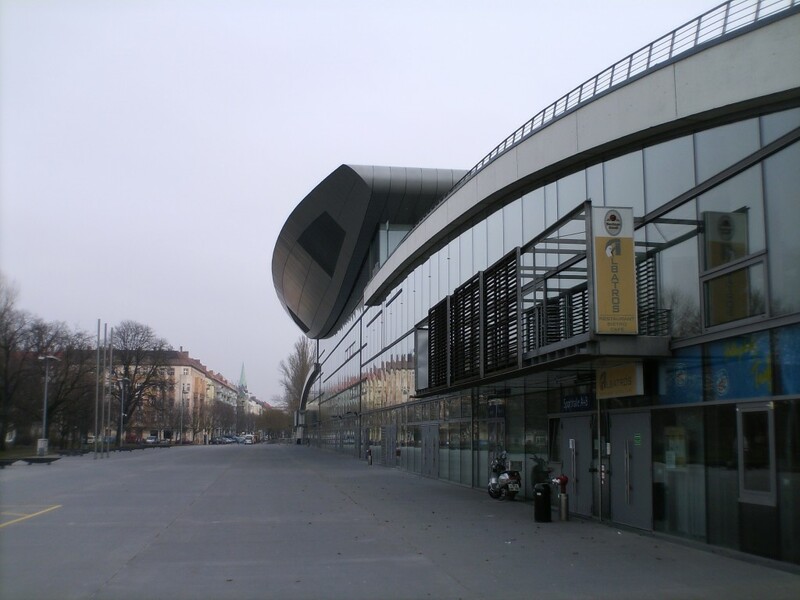 Alba Berlin (Basketball Bundesliga) hosted its home games in the arena from its opening up until 2008 when the team moved to the O2 World. The arena also hosted the 1998 FIBA EuroStars game. The Seat plan is available at tickets.